As KSC engineers prepare for a much deserved break over the Christmas and New Year’s holiday, several ongoing investigations and actions are taking place as a result of the STS-126 In-Flight Anomaly (IFA) review conducted last week. Hearing presentations from the Space Shuttle Program (SSP) Flight Operations and Integration (FO&I) office and the Eastern Range, the all powerful Program Requirements Control Board (PRCB) has approved several forward actions to correct, among other things, Eastern Range Weather Balloon and Meteorological System Computer (MSC) issues and an ROEU (Remotely Operated Electrical Umbilical) motor problem. Highlighting the excellent work by everyone involved in the launch of a Space Shuttle, the Eastern Range and the 45th Space Wing reported only two issues encountered during the November 14th launch of Space Shuttle Endeavour, of which none were classed as IFAs. “No STS-126 Eastern Range Anomalies are recommended for an Integrated IFA,” notes the PRCB presentation available for download on L2. The two anomalies discussed in the presentation pertain to weather systems and radar tracking issues experienced by the range during the final hours of the STS-126 countdown. “Met-System Computer (MSC) was non-responsive (L-2:15 (2hrs 25mins)) and had to be rebooted (recovered by L-1:50),” notes the presentation. As discussed in the IFA presentation, all weather balloon data has to pass through the MSC in order to be distributed to the proper locations. Furthermore, the data from L-1:10 JS balloon was corrupt and therefore un-useable for the roll maneuver assessment. Nevertheless, data from the L-1:25 AMPS HR balloon was used as a backup, therefore making all the necessary wind data available to Endeavour’s computers for the roll maneuver. As always, failures or anomalies are planned for via redundancy in the system. In addition to the redundancy in actual balloons, the ground element hardware for the AMPS has a two-sided (A and B) redundancy and there are 6 signal processing channels on each system. Moreover, the Eastern Range has suggested several forward actions to improve balloon and weather systems operations. “For STS-119, clarify balloon priorities with Cape, (have) consensus among all weather users, (and) coordinate through DOLILU Working Group,” notes the Eastern Range. Also included are two long range suggestions: upgrading the weather PRD for STS-125 and STS-127 and upgrading the MSC altogether at a later date. The second issue reported by the Eastern Range was interference with the NDR-C1 debris tracking radar. 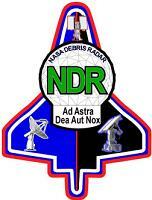 Moreover, the NDR had successfully completed three phasing checks prior to the interference at T-9 minutes. Three phasing checks is usually enough to clear all interference from the radars to enable them to support launch. With fifteen launches (both Expendable Launch Vehicle and Shuttle) performed under the current NDR phasing checks, the Eastern Range does not believe that the issue experienced during Endeavour’s launch last month is a generic issue. Furthermore, the NDR phasing check procedures were just updated after minor interference was experienced during the STS-123 launch in March. Also, a comprehensive troubleshooting plan will be developed prior to STS-119 in case this interference is experienced again. Like the Eastern Range, the SSP Flight Operations and Integration (FO&I) office reported a relatively clean and issue free flight of Endeavour from a program standpoint. In charge of tracking issues in the payload hardware and software, cargo integration hardware, payload-to-Orbiter interfaces, and Orbiter-to-ISS interfaces, the SSP FO&I identified only five issues during STS-126, of which only one was recommended for further action. SSP Flight Operations & Integration recommends that one STS-126 issue be tracked as a new STS-126 FO&I IFA,” notes the FO&I presentation available for download on L2. This issue relates to the ROEU mate procedure to the MPLM. According to the FO&I, the low amp draw of arm drive motor AC 2 phase C was compensated for by phase A & B of the same motor. When compared with the demate and stow operations performed on FD-4, the FO&I discovered that the signatures were identical. The problem was not an issue for the remainder of the Endeavour’s mission as the ROEU was properly mated to the MPLM and in a good configuration for landing. All power and data lines were correctly connected to the MPLM and all necessary information for the crew about the MPLM was confirmed through a pressure check of the MPLM later in the mission. Nevertheless, since the cause of the ROEU failure is unknown, “testing and evaluations of wiring and motor will be necessary to determine cause of failure and any fixes,” notes the FO&I. In addition to this issue, the FO&I identified four other problems during STS-126. These included the Hardline Communication failure between Shuttle and ISS, the OI-33 software inability to load Orbiter Interface Unit format, the CWC #4 leakage, and GAP #7 ISS payload activation problem. For the hardline communications failure, “After docking, the hardline communication (big loop and ICOM-A) were tested and failed as seen on previous missions,” notes the presentation. This issue was expected and the crew used UHF communications as a workaround for the hardline communication failure. For the OI-33 software issue, “Environmental check of the MPLM could not be performed due to an Orbiter Interface Unit telemetry format issue,” notes the FO&I presentation. The cause was traced to a software change that “added a data item in the middle of a common data area.” This unintentionally caused a data shift which is being tracked by the SSP System Engineering and Integration office as an IFA. For the CWC #4 leakage, “CWC #4 (SN 1076) was reported leaking after it was filled. Water was processed on ISS and crew reported 3-4 L of residual.” The bag was then sealed in a zip lock bag and returned to Endeavour for return to Earth. All of these issues are not constraints for STS-119 or STS-125. The only possible constraint is to the next flight of the ROEU on STS-127 in May or June 2009.